I decided to take to the website to pay a proper tribute to one of my Gospel “TOP 5”. It saddens me in the natural to share that Daryl Lynn Coley, one of the greatest gospel voices of our generation…of all time, passed away yesterday at the age of 60. But in the spiritual…I know that he is in a better place. Free from pain and of course sangin like only he can! Daryl has been the voice behind some of the most soul-stirring worship and praise songs my ears (and likely yours too) have ever heard. 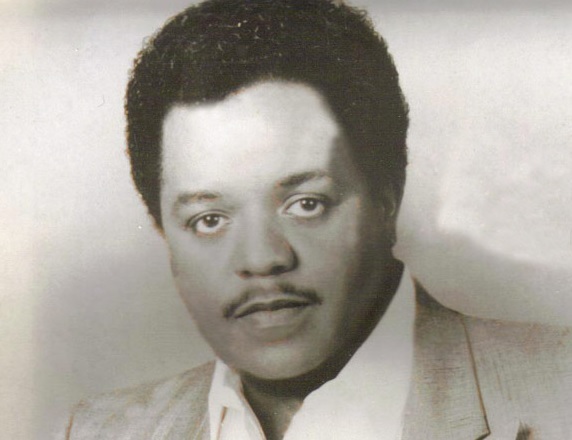 Throughout the course of his singing career, Daryl sang alongside everyone from James Cleveland to Edwin and Tramaine (Hawkins) to even the likes of THE Nancy Wilson and Phillip Bailey. His voice is unmistakable, unforgettable and dare I say unmatchable. The things he could do with his gift! Lord have mercy! The scats, the swells, the runs. Oh the runs! Just the way he approached everything he set out to sing. Always genuine and most compelling in how he witnessed through song to believers and nonbelievers alike. And though his health challenged him in recent years, my family and I have always felt a closeness to this psalmist. On any given day of the week, the lyrics and melodies of Mr. Coley’s songs would find their way into the midst of our conversations–in part or totality. Let’s just say, Daryl has been like family. I dare not even try to name my favorite Daryl Coley selection. That would prove to be an agonizing feat. But I can share that one of my early musical memories of a Daryl Coley song is when I was a member of the young adult choir at my home church and we began learning “When Sunday Comes.” I remember listening and rewinding that piece over and over again. And each time finding new intricacies and complexities and the discovering the powerful dynamics of that song. To this day, it still holds me captive when I hear it. Now…I know we’re supposed to live a life free of regret, but I do have one when it comes to Daryl Coley. To be honest, I’m left with a journalistic void. If only I had had the opportunity to interview him, really talk to him and to hear him sing live. If only. Needless to say, Daryl Coley has colored many a page in my Gospel Music coloring book. As I bring this post to a close, I implore you take a listen to Daryl Coley’s catalog. Acquaint (or reacquaint) yourselves with his material. I know that around my way, we’ll continue listening to him regularly, praying for his family and telling the Lord thank you for allowing Daryl to share the gift of song ministry with the world. Until Next Time…We Thank You Mr. Coley!